Daniel Craig was in action once again in London as he was spotted filming scenes around Whitehall on Sunday afternoon (24th May 2015). Later, the action moved to Westminster bridge where his MI6 colleagues Ralph Fiennes and Naomie Harris had filmed the night before. 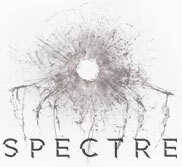 The night shoot, which will form part of he climatic ending to 'SPECTRE', was captured by onlookers in to the early hours of Monday morning (25th May 2015). The bridge was closed to the public from 11pm until 5am. Location work in London wraps up in a fortnight with a shoot on Riverside Gardens near Vauxhall & Westminster Bridge from 7pm Sunday evening (7th June 2015) until 4am Monday morning. Some helicopters will be used on location until midnight.